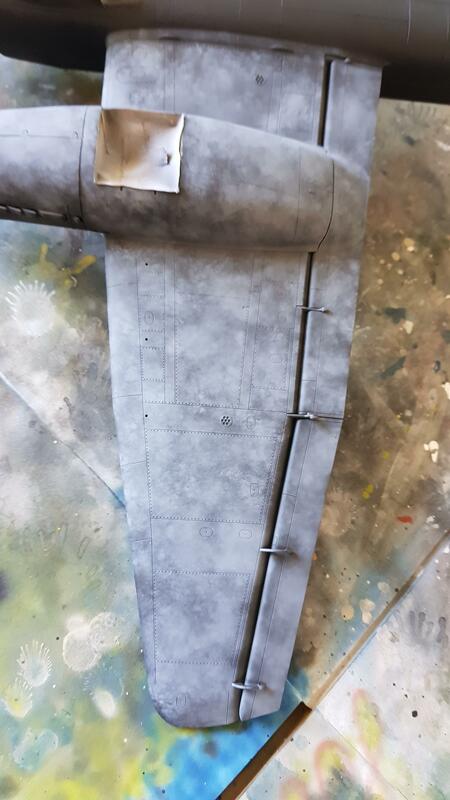 IMO, airbrushing a squiggle pattern randomly over a kit still looks too uniform, regardless of how ‘random’ you try to make it. 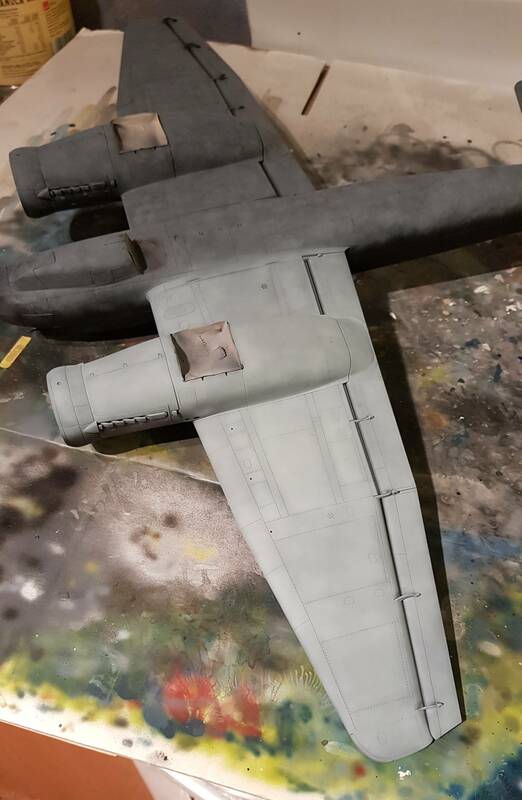 … And it takes too bloody long on a large kit such as a 1/32 Ju-88! Enter the Scotch Brite masking technique which came about after I had been looking at pro airbrushing stencils online and thinking there must be a cheaper way. Firstly some prep is required before using your Scotch Brite. Because these types of pads are dense, you must prepare them by tearing, pulling and reducing the thickness by tearing them in half carefully along their horizontal axis. 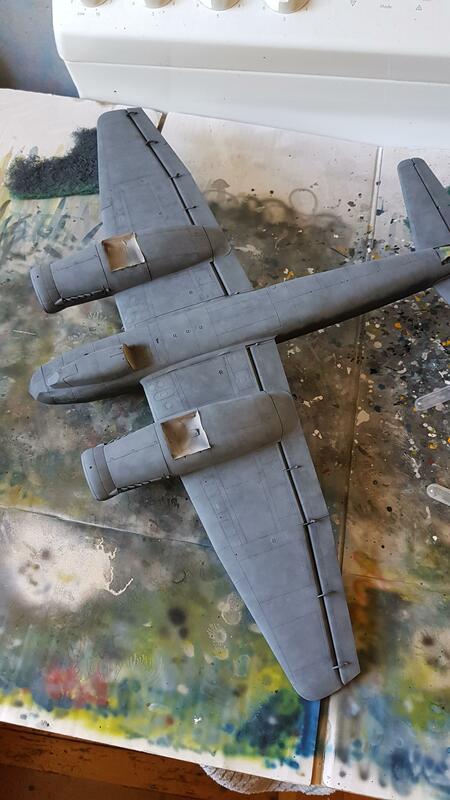 Here is an example of the Scotch Brite in action on Revell’s 1/32 Ju-88. Where possible, I mix my own colours with Tamiya Acrylics mixed with 50% Tamiya Lacquer Thinner. For RLM 65 I mixed up equal parts of XF-23 and XF-2 thinned as per above. In the airbrush cup I added this mix and then added the same amount of thinner to make it highly diluted. 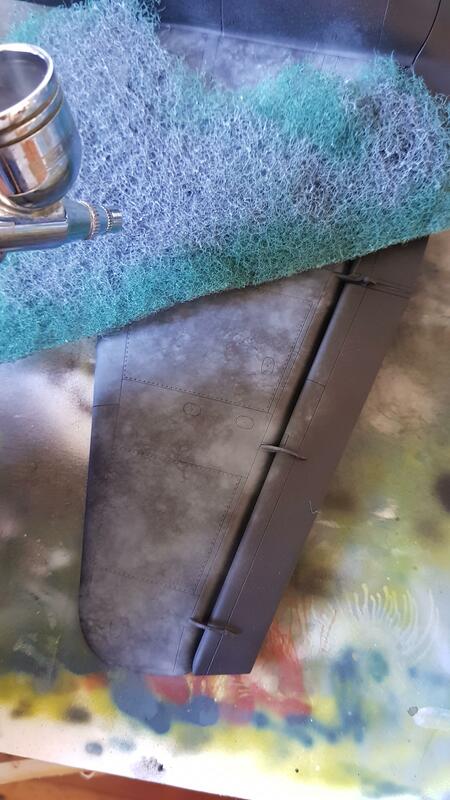 This allows the topcoat to be built up gradually. This makes it hard to overdo it and destroy the effect if you get heavy handed with the trigger. I like it! Any method that helps to break up a monotone finish in an organic way is worth exploring, and this one looks like it takes considerably less work than some other methods. I'll be giving it a try! X2 buddy! That is really cool. 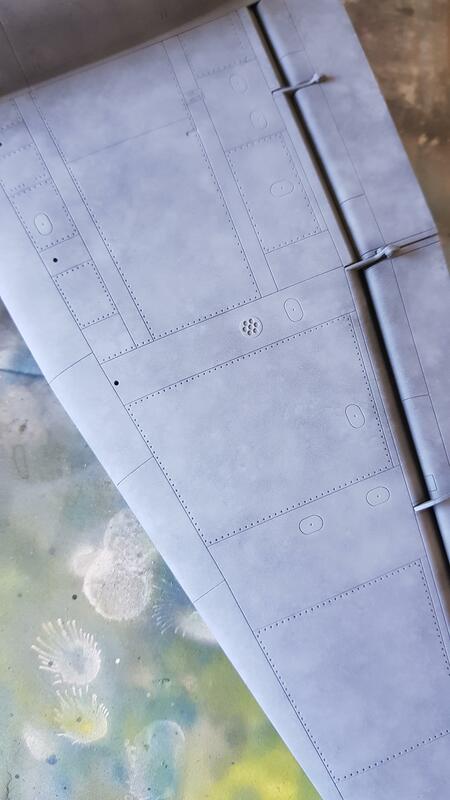 I too think the mottle pattern used for black basing and pre-shading can get more uniform than Id personally like. I'll definitely be giving this one a shot on my big Dornier . The great thing is that it can be used for other techniques such as adding texture layers etc, without using methods such as salt masks. This is a great method for being completely random. You can also get different grades of it so you end up with larger or smaller spaces as you tear and expand the scotchbrite. Gives good overlapping patterns with different shades of paint. Hmmm, I might have to give this a try. I like it...I am going to give it a try on my next project. I like it a lot. Thanks for the tip. however, it must be a colossal waste of paint no? You do use more paint than you would if you were to use the squiggle method, but I wouldn't say that you're using a colossal amount. 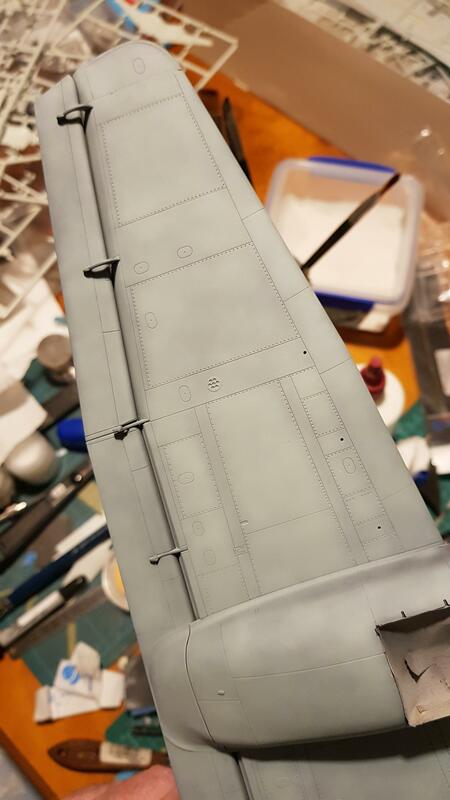 I'd estimate that I've used around 1/3rd of a 10ml jar of Tamiya XF-54 to complete the undersides. airbrushing a squiggle pattern randomly over a kit still looks too uniform, regardless of how ‘random’ you try to make it. I do agree - I will definitely be giving this a whirl, if only for the fact it seems way easier than fiddling around trying to do a random squiggle myself!